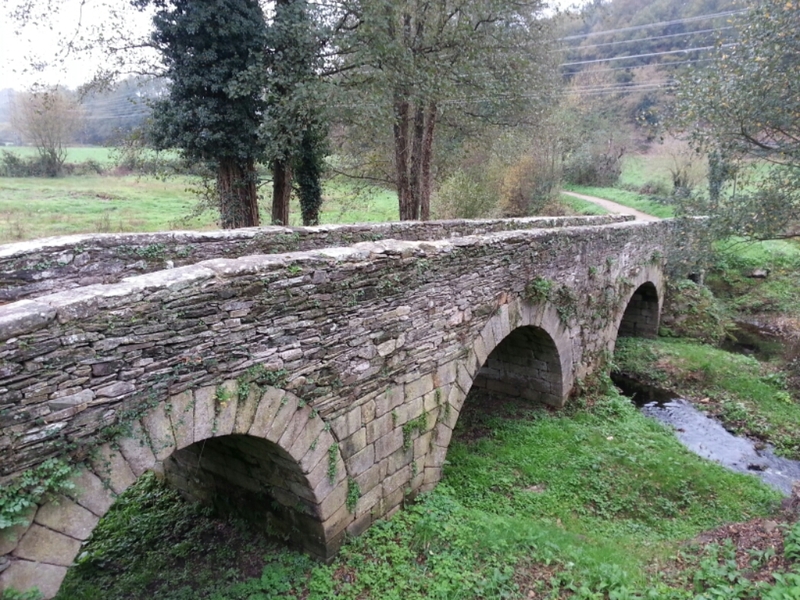 The book says only 21 km, but I walked to the Sarria train station first and 24 is what MapMyWalk says. More country roads, farmyards and old stone structures. It goes on and on! I feel like I’m walking across a whole country on a route traveled for 1000 years. The weather is expected to be OK tomorrow but then take a turn for the worse (wet AND cold) for a couple of days. I may have to take one of those days off, or at least reduce the distance if my feet are wet. I’m in an upscale albergue in Portomarin. 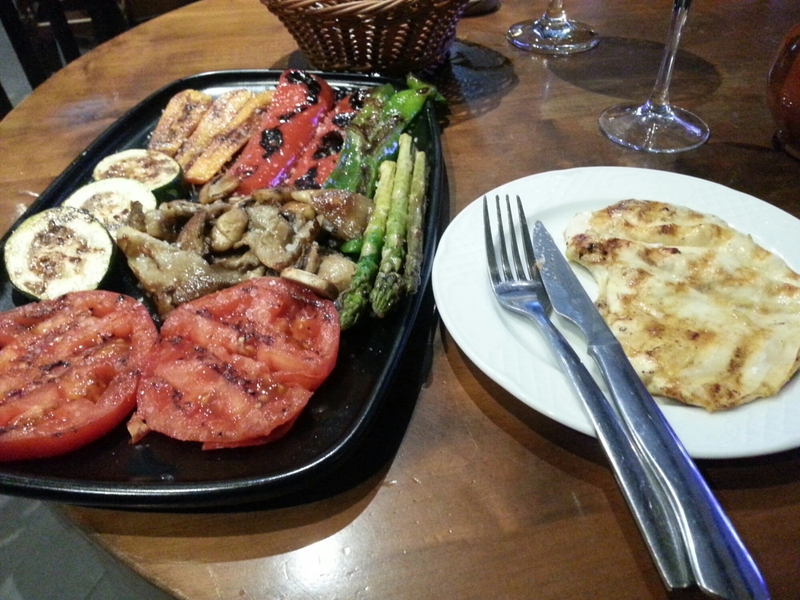 I added a platter of grilled veggies to my pilgrim fare. 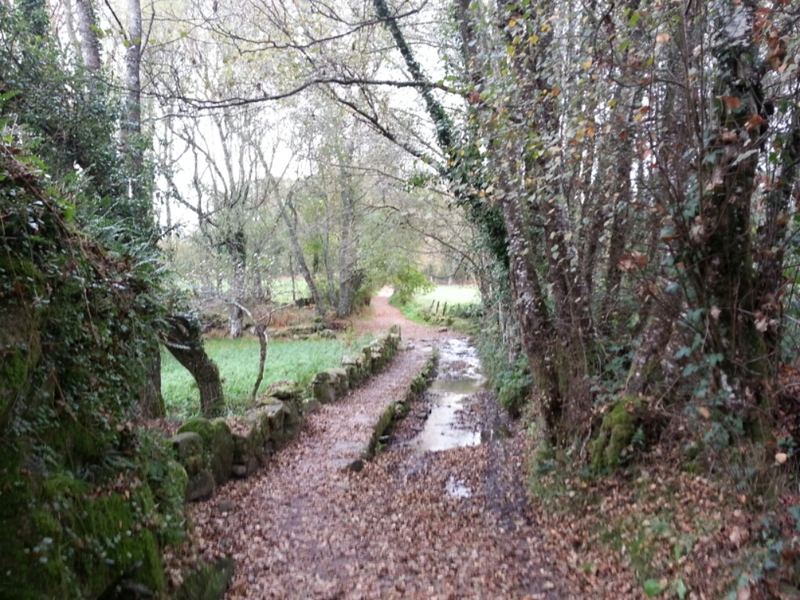 November 19, 2015 in Camino 2015. Getting closer! Those veggies look amazing! A question Clare: Does MapMyWalk pull much battery from your phone? No, it doesn’t seem to. I can go all day with it on, and take photos. The important thing is to use Flight Mode most of the time and to delete all clock alarms. That’s good advice, thanks. Does the GPS work on flight mode though? I reckon you are following the footsteps of a thousand years… It’s charming where you are. 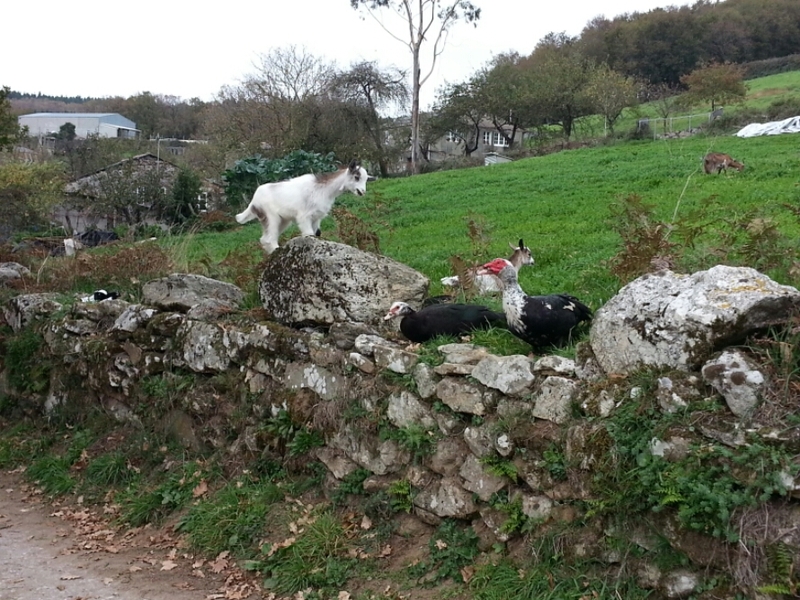 I love the standoff between the goat and goose. Who won? I’m betting on the goose. did think about you when I passed a particularly colourful collection of chickens and rooster.